This is a busy itinerary involving long travel days, extensive visits to historic sites and considerable walking, with many stairs and some rough walking surfaces. Members must be physically active and healthy, able to maintain the busy schedule to fully enjoy the journey. This is an outline of the program but members should appreciate that the itinerary is subject to change based on local conditions and special interests of the group. Journey with us to the Land of the Bible; walk the narrow streets of Old Jerusalem; stroll by the shores of the Sea of Galilee; discover the magic of Bethlehem and Nazareth. Can there be a better way to renew our faith and to gain insights into the meaning of the Bible than a journey that allows us to experience first hand this fascinating land? 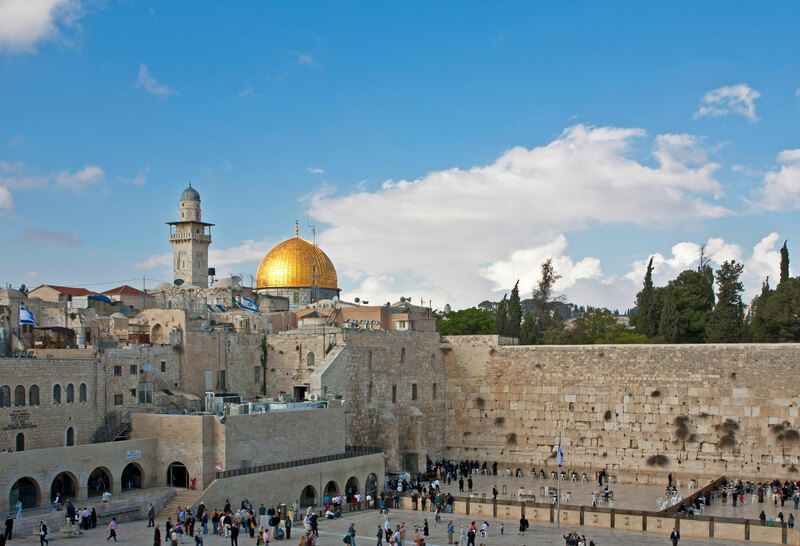 This special journey features one night at Netanya, a popular resort on the Mediterranean, four nights by the Sea of Galilee and six nights in the heart of the Holy City of Jerusalem. Staying at comfortable first class hotels with breakfast and dinner included daily, we will enjoy in depth explorations of familiar sites from the Bible. 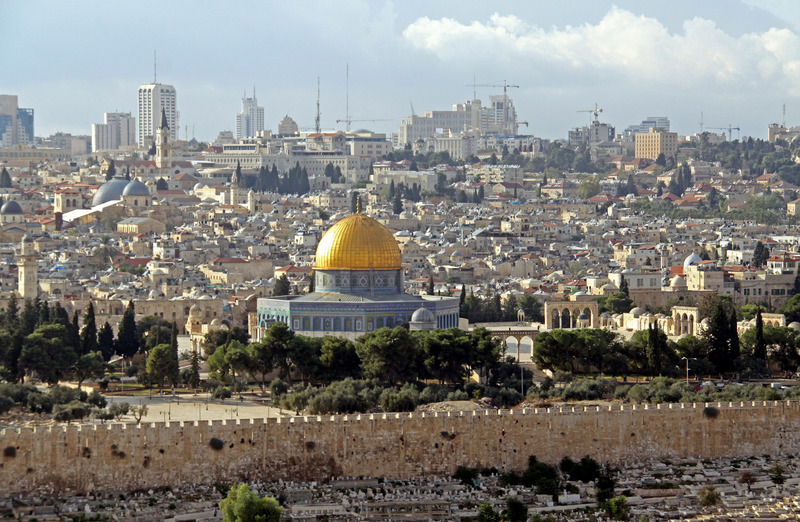 Enjoy detailed commentary and special reflections from our professional Israeli guide, trained to provide full insights into the sites of the bible. To ensure your places on this very special tour be sure to call today and reserve your places. One room remaining. Book soon! Tour members gather in Toronto for our overnight Air Canada flight to the Holy Land. This morning we drive north crossing the Plains of Sharon and following the old coastal road which linked Egypt and Babylon as we journey to Galilee. Visit Caesarea, the ancient Roman seaport / capital of Israel where Pontius Pilate had his base. Visit Megiddo, one of King Solomon's fortified walled cities. 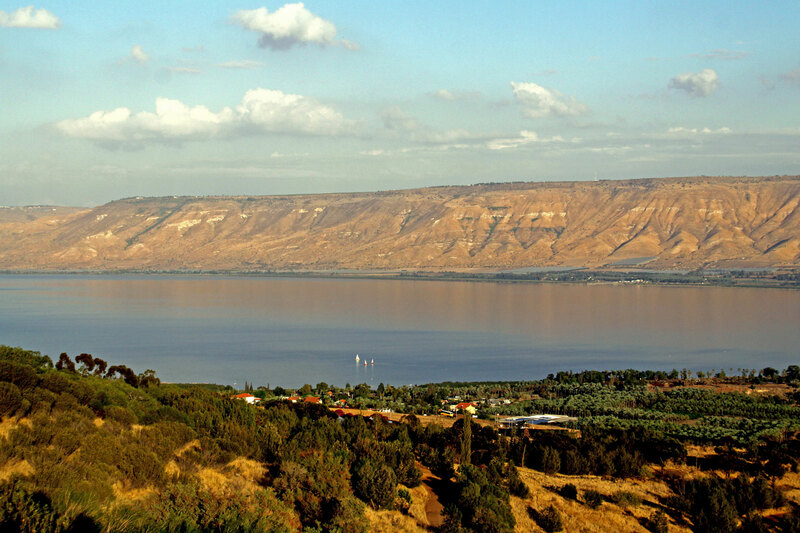 Continue to Tiberias and our home by the Sea of Galilee Leonardo Club Hotel (4 nights). We begin our day with a boat ride on the Sea of Galilee then drive to Banias (ancient Caesarea Philippi-Matthew 16:13ff) at the foot of Mount Hermon. Banias is one of the three sources of the Jordan River. We drive along the Golan Heights with stark reminders of the Israeli / Syrian war of 1967 where we will also see the ruins of the Crusader castle of Nimrod with its panoramic view of Upper Galilee, Golan and Lebanon. We return via the Hula Valley, where modern methods have changed swamps into rich farmlands. Early this morning we will visit Capernaum, centre of Jesus' Galilean ministry with its ancient synagogue and Tabgha on the shores of Galilee, site of the multiplication of the loaves and fishes and the Church of the Primacy of Peter built around an out-cropping of Galilean rock. We continue to the Mount of Beatitudes, traditional site of the famous "Sermon on the Mount". Drive along the eastern shores of the Sea of Galilee, past the excavations of ancient Bethsaida to Kursi, with its Byzantine Church. Our first stop today is Cana - site of Jesus' miracle of turning water into wine at a wedding feast. 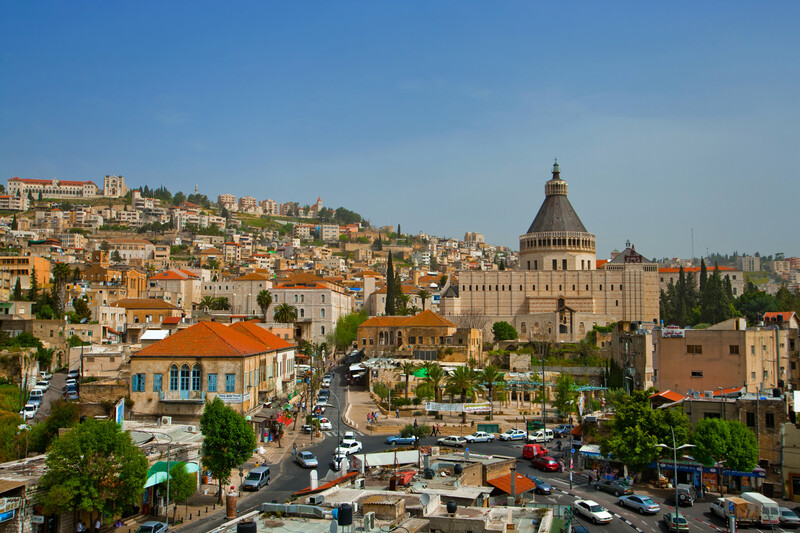 Continue to Nazareth, hometown of Jesus, where we will visit the striking Basilica of the Annunciation which is built over the traditional site of Joseph’s home, and in contrast, the unadorned Church of the Synagogue. In the afternoon, we continue to the heights of Mount Tabor, traditional site of the Transfiguration of Jesus. This morning we take a comprehensive walking tour of the Old City that will include the Temple Mount with its Dome of the Rock and El Aqsa Mosques, the Western Wall, the restored Jewish Quarter with its Cardo, Burnt House and shops; the Via Dolorosa - the Way of the Cross - leading through the Arab market of old Jerusalem to the Church of the Holy Sepulchre, the traditional site of the burial place of Jesus. En route if possible we will visit the remains of the earlier Church of the Holy Sepulchre which dates from 335AD, located in the Alexandre Hospice as well as the Cathedral of the Holy Trinity of the Russian Orthodox Church. 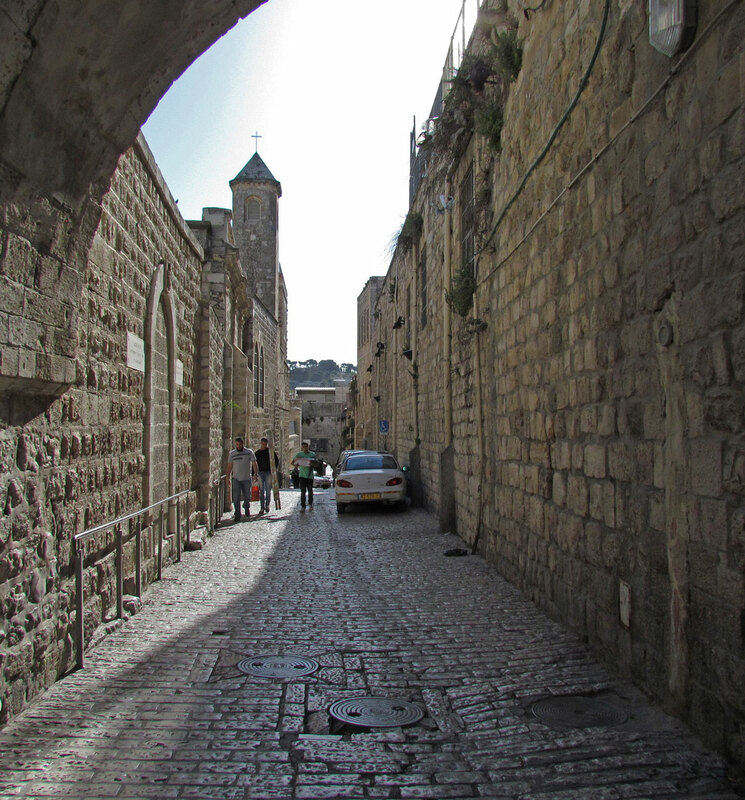 We venture into the countryside to the village of Bethlehem where we visit the Church of the Nativity, built over the birthplace of Jesus as well as the cave-grotto of Jerome, biblical scholar and translator of the Vulgate and Shepherds' Fields. 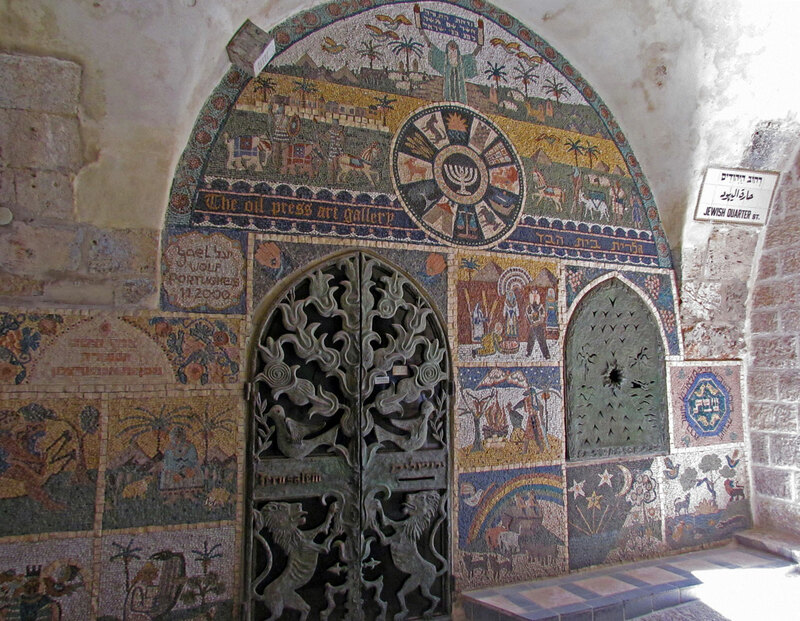 In the afternoon, we explore New Jerusalem, visiting the Hadassah Hospital in Ein Kerem to view the world-famous, Chagall stained glass windows in the synagogue and Yad Vashem, the Holocaust Memorial. Continue to the Israel Museum to view an impressive model which reconstructs the Old City of Jerusalem as it was in Herodian times, then on to the Shrine of the Book, home of the Dead Sea Scrolls. Today we travel to the Mount of Olives for a panoramic view of the ancient city of David and the old walled city. We plan to visit the Russian Orthodox Church of St Mary Magdalene, if possible. 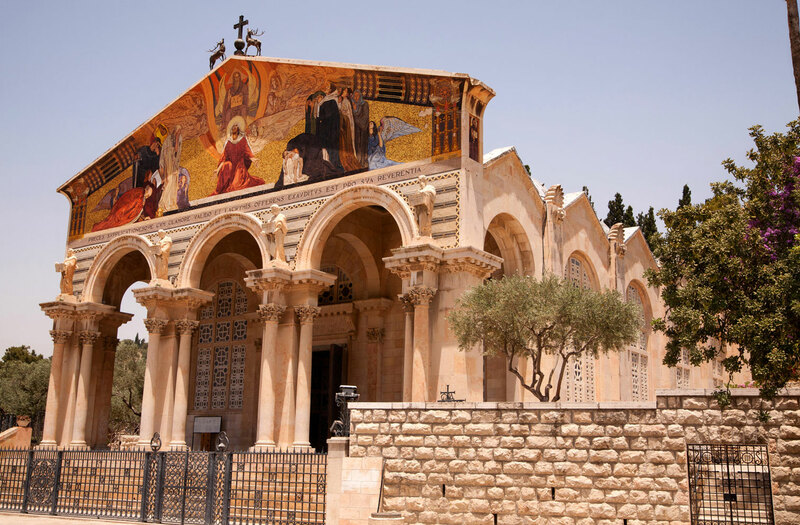 See the churches of the Ascension, Pater Noster and Dominus Flevit; visit the Garden of Gethsemane with its Basilica of the Agony and the traditional Tomb of Mary; view the Kidron Valley with its tombs of Absalom, Zachariah and James. 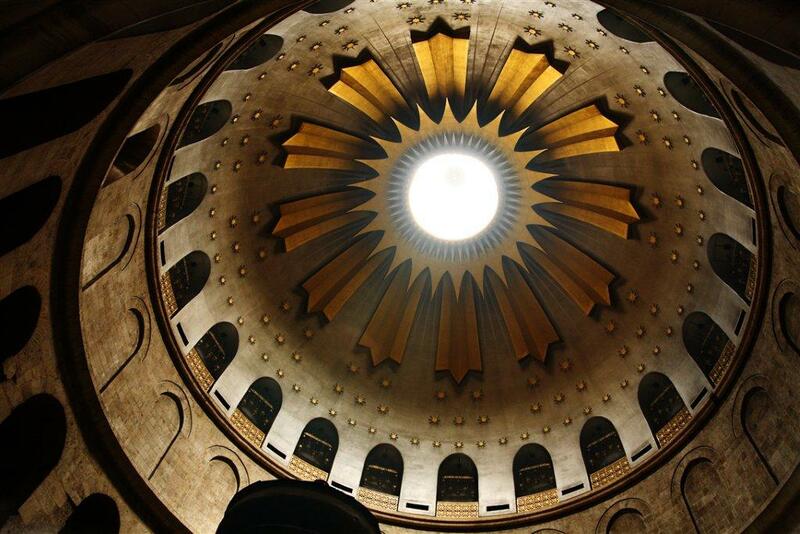 Proceed to Mount Zion with the traditional Tomb of David and the Room of the Last Supper. Outside the walled city we will visit Gordon's Calvary with its Garden Tomb, with time for a short service. 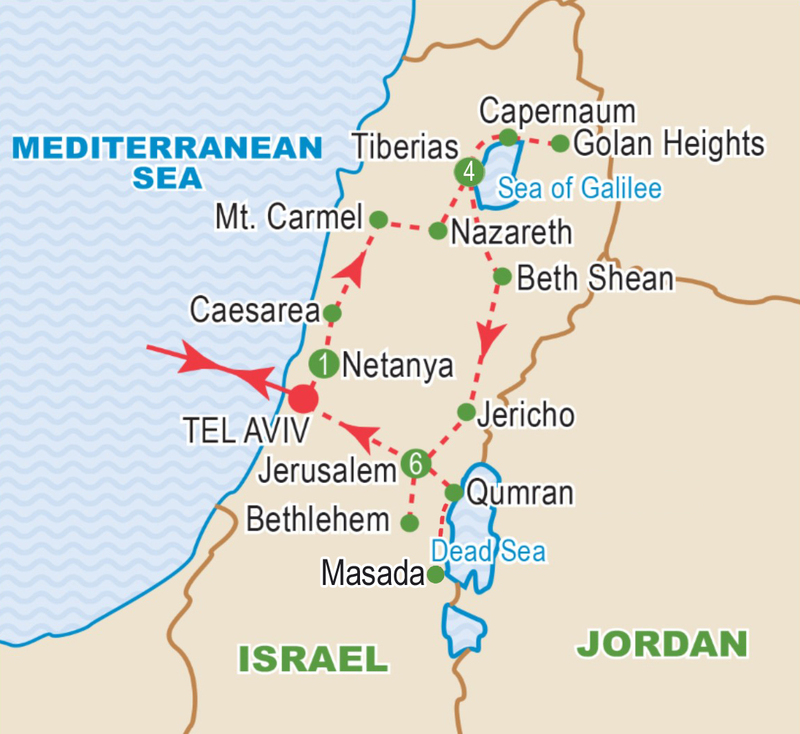 We travel via Bethany, the home of Mary, Martha and Lazarus, descending to the Dead Sea, the lowest area on earth at 1,300 feet below sea level. Following its shores we come to Masada, one of Herod's fortress castles. We ascend to the fortress by cable car to explore the site, the last hold-out of Jewish resistance to the Romans in 70AD, and to enjoy views of the Dead Sea and the Mountains of Moab in Jordan. 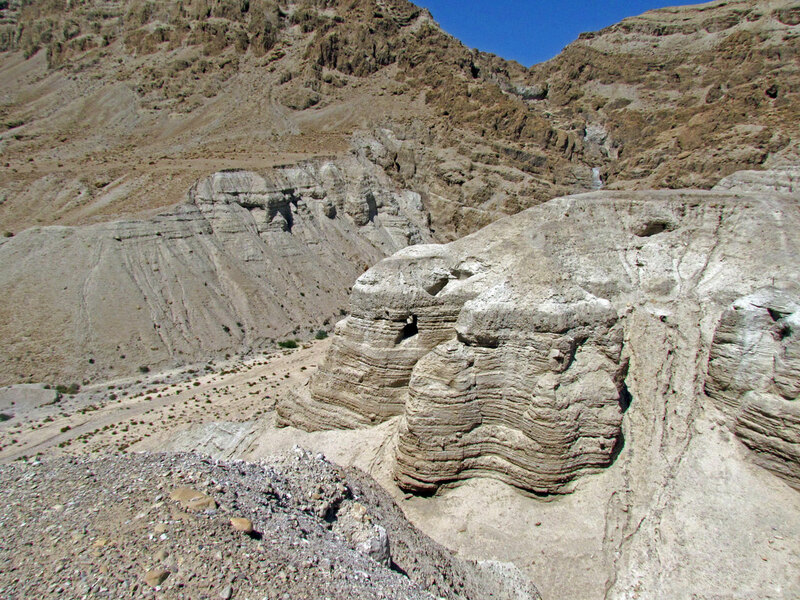 Later we continue to Ein Gedi, with its nature reserve and biblical ibex (with an opportunity to swim on the Dead Sea), and Qumran, site of the Dead Sea Scrolls discovery in 1947 and the Essene Monastery. This day is free for personal pursuits: there are numerous museums in both old and new Jerusalem and we can spend some time poking around the Bazaars in the Old City. This evening we gather for our Farewell Dinner at a local restaurant. All too soon our journey to the Lands of the Bible draws to a close as we catch our flight to Toronto. Airfares from other gateways are available on request. Airfares and add-ons are subject to change and will be confirmed prior to final payment. Refer to inclusive features for details. Tour price is based on sharing a twin-bedded room at hotels. Prices are based on a minimum 20 members and on rates, taxes and fees effective March 2018 and are subject to change due to factors beyond our control. Prices DO NOT INCLUDE the cost of insurance which is available and is highly recommended. Premiums vary with the cost, length of the trip, and the traveller’s age. For passengers up to and including 74 years on departure date, premiums will range from $211 to $280 pp plus applicable taxes. Cost supplements for travellers aged 75-85 will range from $177 to $345 pp plus applicable taxes. Clients 86 years and older and/or clients residing outside Ontario please contact our staff for procedures. This insurance is effective from the date of purchase and carries limitations on pre-existing medical conditions. Please discuss your insurance coverage prior to booking. Refer to terms and conditions for more details. For the brochure in USD princing click here.